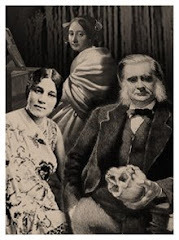 The Secret Science Club: The Secret Science Club presents Fossil Hunter, Paleoanthropologist, and Human Evolution Expert William Harcourt-Smith, Monday, November 21, 8PM @ the Bell House, FREE! The Secret Science Club presents Fossil Hunter, Paleoanthropologist, and Human Evolution Expert William Harcourt-Smith, Monday, November 21, 8PM @ the Bell House, FREE! Step into the Way-Back Machine . . . the Secret Science Club is heading back tens of thousands of years to explore the mysteries of human origins! As a species, Homo sapiens is a mere 250,000 years old (give or take). Around 100,000 years ago, we walked out of our homeland in Africa and proceeded to populate the entire world. Now, we're the only species of human left. So how did we evolve into our freakishly amazing selves? And what about the other humans? What were our ancestors and extinct relatives like? Just returned from Kenya and the northern Sudan, paleoanthropologist William Harcourt-Smith of the American Museum of Natural History and Lehman College lectures on recently discovered hominid and primate species, new research on human evolution and our family tree, and his expeditions to a 20-million-year-old fossil site. Dig it! 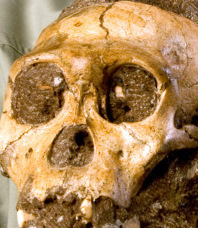 --Special guests: Australopithecus sediba, Homo neanderthalensis and Homo floresiensis!